Celebrating 13th Million Man-hour without Lost Time Injury — Citadel Pacific Ltd.
IP&G further proves its commitment to health, safety, security and environment through a record of no major injury and fatality. 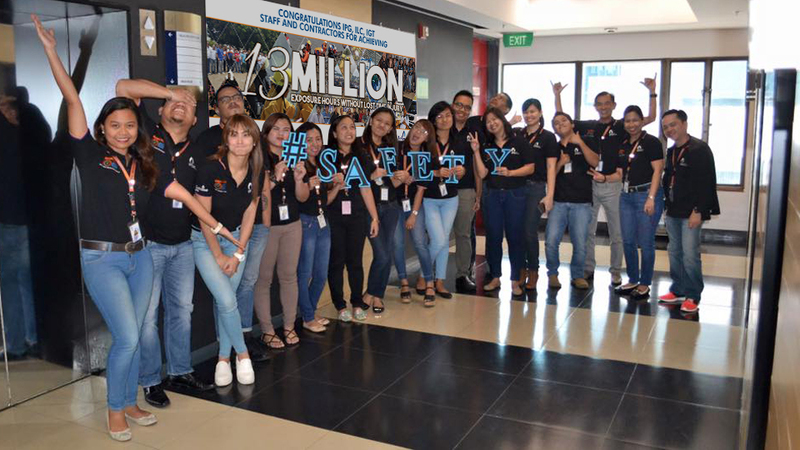 Isla Petroleum & Gas Group (IP&G) recently reached a significant milestone in its journey towards making an incident and injury-free company when it achieved its 13th Million Manhour without Lost Time Injury (LTI). This accomplishment means that no major injury or fatality has been recorded over said period of time. It attests to the company’s commitment to health, safety, security and environment (HSSE) and proves how dedicated IP&G is in maintaining its safety-related work practices, be it in its offices, plants, sites, road transport, distributor network, or business partners. ILC CEO Ruben Domingo expressed his appreciation to the whole IP&G family for making this goal into a reality, “I am very glad and grateful to everyone for this great feat in our company. It could only be achieved with high safety consciousness and tenacity to do what is right. Congratulations and maraming salamat (thank you),”. The 13th Million Man-hour marks a significant event for the company as it continues to serve its customers with the best quality products. Safety is a top priority in ISLA in every single step and procedure it takes. “It is with great pride and admiration that I personally congratulate each and everyone in IP&G for achieving another milestone,” says IP&G CFO Willie Sarmiento. “I am also very happy that we have all taken individual responsibility to safety and have remained committed in our hearts and minds, as well as to our business partners,” adds Sarmiento.